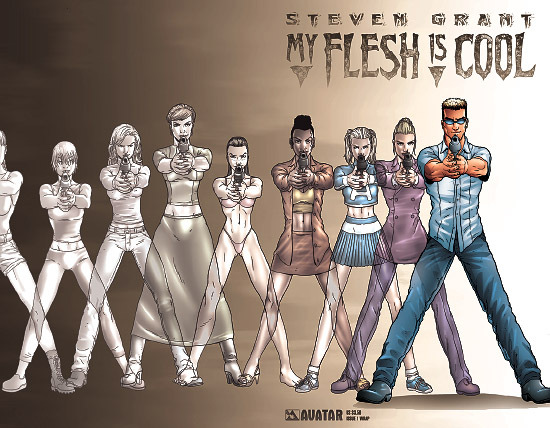 Mini-series published by Avatar Press. Evan Knox is a killer who can jump into any body he wants through the use of a special drug. The cover and contents of the small preview issue make it clear that Evan will jump into both male and female bodies. Three pages of the preview show what happens when he spends a few seconds in the body of an Asian beauty in a bikini. Evan Knox is an assassin who can jump into any body he wants in order to do job. In issue one, he takes over two female bodies - the body of a naked Asian woman in a swimming pool and a female senator. ... And turns her into a hypocrite! ... But Evan makes a brief appearance.